World Baseball Softball Confederation (WBSC) President Riccardo Fraccari has described today's decision to make the Olympic programme more flexible like being called "off the bench" with the "bases loaded"
The International Olympic Committee (IOC) proposal to abolish the cap of 28 sports for the Summer Games as part of Agenda 2020 and move to an "events-based" system that would allow new competitions to come in, while keeping to about 10,500 athletes and 310 medal events means host cities will also be allowed to propose the inclusion of one or more additional events for their Games. Baseball and softball, both dropped from the Olympic programme following Beijing 2008, are popular in Japan. "Today, there is excitement circulating around the baseball and softball world and there is great hope that our athletes will now have a real opportunity -the pinnacle and highest honour in our sport - to play for their country, aiming to win an Olympic gold medal," said Fraccari. "The reforms herald a new era for sports and athletes worldwide, and provide important hope and inspiration for sports and athletes wanting to participate in the world's most important global sporting event, the Olympic Games. "It's like when the manager calls you off the bench to pick up the bat and warm up, and the bases are loaded. "All you want do is swing for the fences. "While baseball and softball have very deep historic and contemporary connections in sporting communities and at all levels of society in Japan, the sports are experiencing worldwide popularity and growth, with new as well as existing and upgraded venues able to host the sports in both traditional and new markets in Africa, the Middle East as well as in Europe." IOC President Thomas Bach said host cities asking for certain sports must make a proposal to the and present an operational and financial model for their inclusion. 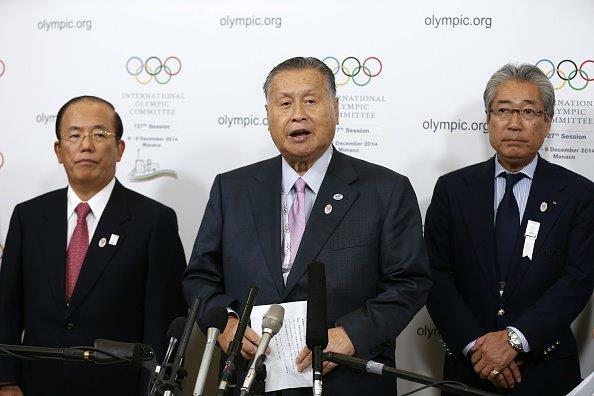 Tokyo 2020 President Yoshirō Mori confirmed they had already been approached by sports wanting to be added to the programme but refused to officially confirm who they are. "The 40 [Agenda 2020] recommendations that have been adopted cover a wide range of topics including promotion of maximum use of existing facilities as well as potential inclusion of additional events to the Games," said Mori. "We will make proactive efforts to ensure that both the reforms and the 2020 Games are a resounding success." Squash, which bid unsuccessfully for inclusion at Rio 2016 and Tokyo 2020, are also expected to apply to be part of the programme. World Squash Federation President N Ramachandran, however, appeared less optimistic than Fraccari. "I have always said that my task has been to keep pushing at the Olympic Games programme door for squash," he said. "Now that I can see that a little light is coming through at the edges I am delighted of course. "However, we cannot get ahead of ourselves. "We simply remain hopeful that the changes that President Bach and his [IOC] Executive Board make will take us forward onto the next stage of our dream being realised at the earliest opportunity."